Eisho, who works at a pig farm in Okinawa, is always hanging around with Masaru, who is much older than Eisho, and Hitoshi, spending his time foolishly. One day he falls in love with a new American dancer named "Orange" at first sight at his favorite pool bar. However Max, an American soldier, who also loves Orange makes his approach to her and Eisho begins to compete with him for her attention. They finally decide to have a one-on-one fight for her. Eisho fights for Orange, for his fellows, and for himself. Meanwhile Rimi, a nurse, has been in favor of Eisho. When Eisho finishes fighting with Max, he finally notices something important for him, which affects his state of mind. 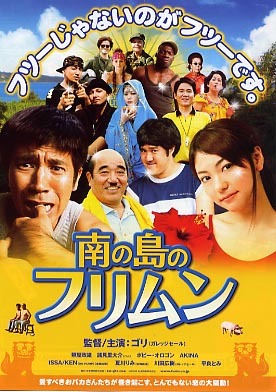 Gori directs this heart-warming comedy film with all his force for the first time setting its story in Okinawa, which has a rich natural environment. 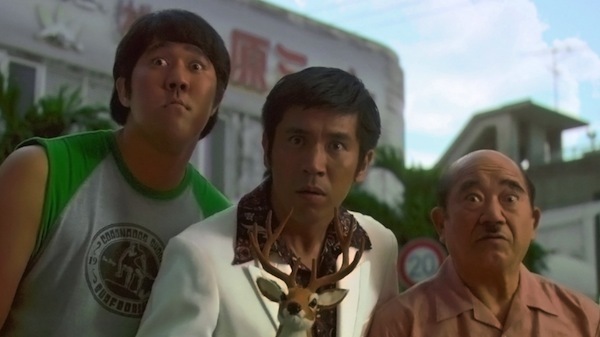 All of the scenes were shot only in Okinawa. Moreover Rimi Natsukawa sings its theme song "Unju no Furusato", which is written by Gori and composed by Chiharu Tamashiro (from Kiroro). 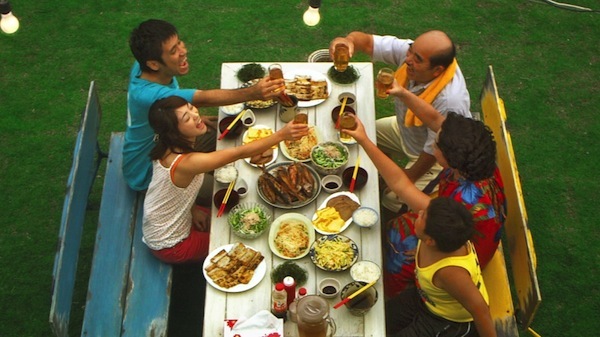 They are all from Okinawa and describe their great nostalgia for Okinawa in this song. Rimi Natsukawa also appears in this film and this is the first appearance in a film for her.